I have been on a roll with millets. There is so much good taste hidden in those small pearls and all these millets take on flavors so well. 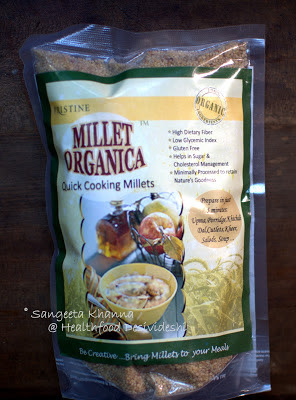 I have been experimenting with all kinds of millets available for a long time now, earlier it used to be only the recipes that were made at my parental home, but now I make cakes, quiches, pies and even dumplings with millet flours, sourdough breads, rolls and flat breads are common. I know how happy my grandmother would have been seeing me using all these millets and alternative grains. I miss her so much when I experiment with traditional foods. Always get reminded of how she used to enjoy cooking such things. 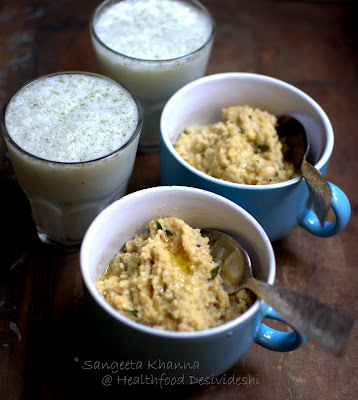 Talking of spreading love through cooking and sharing food, a reader who became a dear friend over the years I have been blogging started experimenting with millets seeing my various recipes here on this blog. And she would come back to me whenever she would try a new millet. It is a pleasure to see a family adopting the indigenous grains by reading this blog. Some time ago she found a new organic brand that had a mixed millets pack and she thought of sending that to me. How generous of her, she even sent me a pack of sesame oil from Chennai. This pack had some 4-5 types of millets. Sama, kodo, ragi, amaranth I can recognize. This mix can be soaked and blended to make a fermented batter for dosa or idli, but after being in love with sama ke chawal, I was thinking more of a pongal. 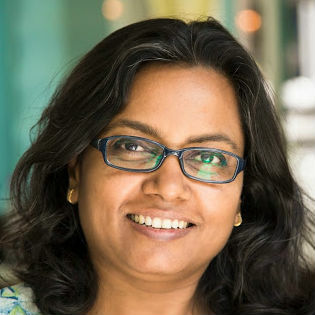 I discussed pongal with her which somehow I like with the traditional mung and rice more but millet experiments were not as successful till now. I used to not like the dryness the millets brought to the pongal. See my first trial with yellow split mung and this mixed millet that feels dry, though the taste was as good. 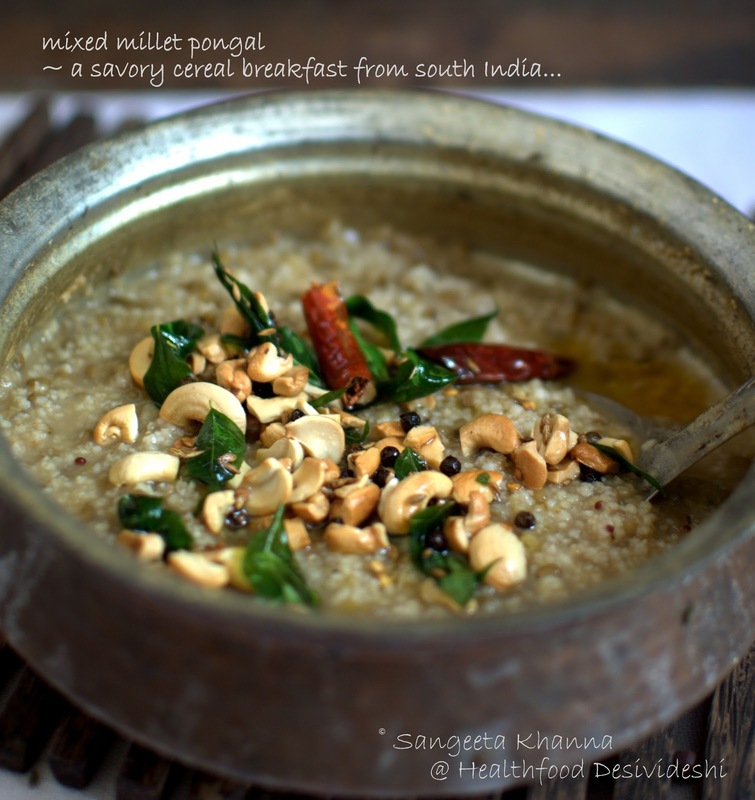 It had a lot of fried cashew but once the cashew is mixed into the pongal, it looses the crunch and nuttiness. I corrected that too later in my recipe. 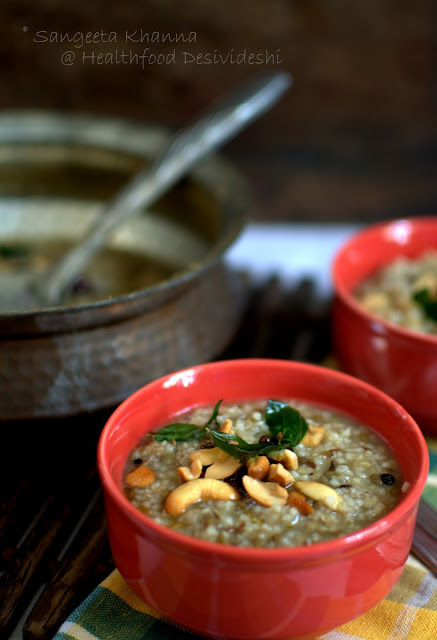 She told me to make the pongal thinner so it is creamier and that's how my mixed millet pongal recipe became exactly the way we like. It never occurred to me that a thinner pongal would be great just like I love thinner khichdi. I did a few changes in the tempering from the traditional recipe as per my taste and requirements. I cooked it in a pan so it took about 40 minutes total to cook, using pressure cooker will be good to save time but the pongal might become too mushy for your liking. Boil the washed split mung with skin with 3 cups of water and salt to taste in a large deep pan. I cooked it in a traditional Indian deghchi. The lentil will boil and froth, keep stirring in between so it doesn't spill over. Make a coarse paste of half of the curry leaves and ginger or just chop them finely and add to the boiling lentil mixture. 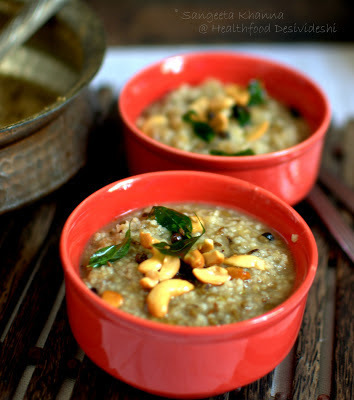 Add washed mixed millets (or sama if using) after 15 minutes and keep simmering the mixture for about 15 minutes more. Add water if required and cook till the grains get cooked the way you like. Turn off the heat and keep covered till you prepare for the tempering. Heat ghee in a small deep pan and tip in the broken red chilies. Add the broken cashew in to it and fry till they turn pink. Add the remaining curry leaves and the black pepper corns to the same pan and fry for about 30 seconds or till it gets fragrant. Pour half of this tempering over the cooked pongal. Mix well, serve in individual bowls and pour a spoonful of the tempering in each bowl and serve immediately. We licked our bowls clean this time. Literally. The leftovers tasted great too. Just reheated in microwave and had for a quick meal with cucumber raita. I loved this millet mix and felt blessed for such a lovely thoughtful gift from N.
Gratitude for all the love I anmblessed with. Gratitude for all the love this blog gets from you readers. Many of you consider me like family and that is a very humbling feeling trust me. 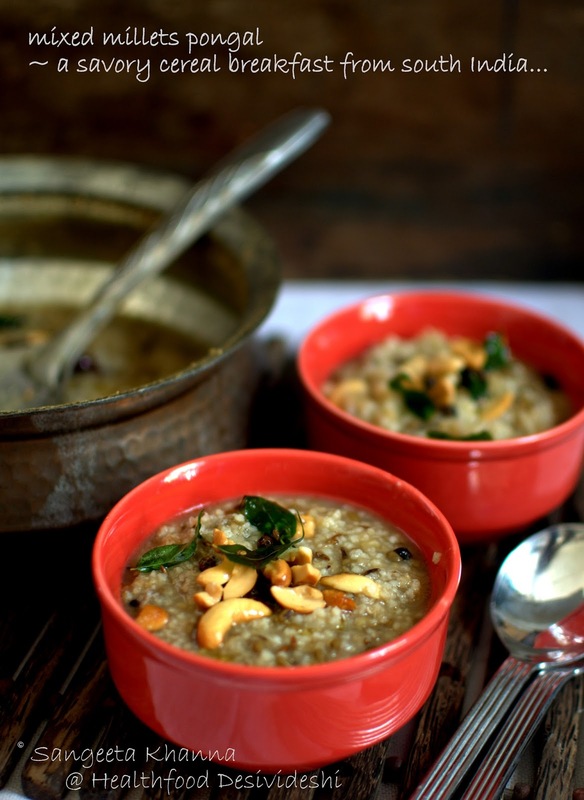 Incidentally, pongal is a temple food and prasad in many temples in south India. What better way would I get to express my gratitude than sharing a healthy a temple food? Nicely written recipe, Pongal in this format is realy innovative. Where did you buy this Mixed millet.